After we hauled out at Shelter Bay Marina in December 2012, the idea was that we could keep Irie in the water for two years straight, so we did not have to worry about hauling out in the remote and inconvenient South Pacific, French Polynesia in particular, until we reached Fiji. We fixed what needed to get fixed, improved a few things and decided to paint the bottom again for this purpose. 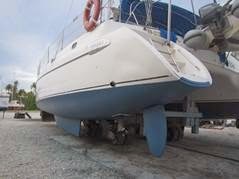 We ordered three gallons of our usual and effective antifouling of choice: Islands 44 of the brand Sea Hawk. We had applied the same hard ablative paint twice before and were happy with the results, unlike with the two other brands we used prior to that. Bottom paint is one of those big subjects cruisers have questions about and where compromises have to be made. 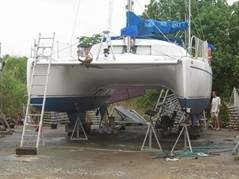 Being in Panama and knowing how things are run (or not run) there, we ordered the paint with Arturo months ahead of time and checked to make sure it had arrived at Marine Warehouse in Panama City, before we needed it. When haulout time approached, we obtained two of the three cans while in Portobelo, the other one (which Arturo forgot the first time) we received a week later, while Irie was on the hard. Already glad that the necessary paint was in our possession before we were paying big money to be in the boatyard, we checked the dates of the rusty containers… only to discover that they were well expired. Of course, Arturo did not have any other Islands 44 around nor could he (or would he, “This paint is all right!”) order new tins before our scheduled haulout, so we reluctantly put $1000 worth of expired paint on Irie’s bottom, not having an alternative. Already four months later, in the rich waters of the Galapagos Islands our trouble began, when the paint at the waterline started to disappear. A few times we scrubbed that area clean of growth, and once, right before the long trip to French Polynesia, we lightly wiped the rest of the bottom, turning it blue again from being mossy green. 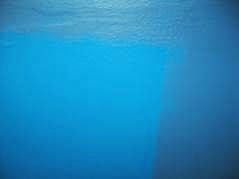 In the Gambier Islands, more paint was gone and we needed to clean the waterline every other week. In the Marquesas, the problem became worse. The water was very “dirty” with organisms, algae growing non-stop, and even barnacles appeared. Because of the constant chop of uncomfortable anchorages, the scum line reached well above the waterline. About once a week, we needed to dive in and scrape and clean Irie’s bottom. Not the most fun tasks of living aboard, those seven months we were there. Needless to say, we wanted to repaint the bottom as soon as we could and that happened at the boatyard in Apataki. By then ALL the paint we applied in Panama was gone, and then some. 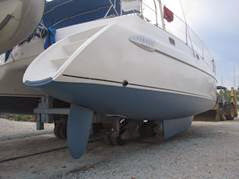 We emailed Pauline of Apataki Carenage well ahead of time and ordered the antifouling paint they usually carry, namely ABC3 from Ameron. Cheaper paint and better service! We will see how this one holds up, but for now, Irie looks pretty with her new bottom and we don’t have to scrape and clean underwater anymore. 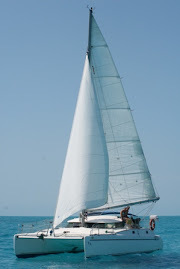 We realize that we have sailed longer distances since being in the Pacific and that every locale is different in regards to growth and paint effectiveness, but we are sure that our bad experience is mainly due to the paint being expired, which we blame on Arturo and Marine Warehouse in Panama City. So, beware of the date on your antifouling tins; check them well before you are high and dry and ready to apply! Not only was the bottom paint in Panama expired, but we received two different batches/colors! Irie ready to be splashed, five days ago.